It is finally here! 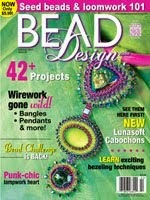 The Bead Soup Blog party. For those of you not participating, let me fill you in. We got paired up with someone we did not know, exchanged beads, and had to create something with them (the short version). 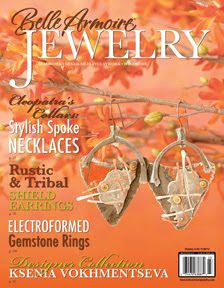 I got paired up with Stephanie Haussler of Pixibug Designs. She sent me the ingredients below. 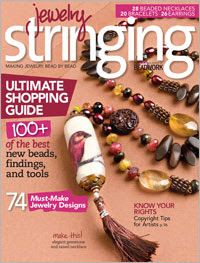 We have to use the clasp and the focal, any other beads and such we get are optional. 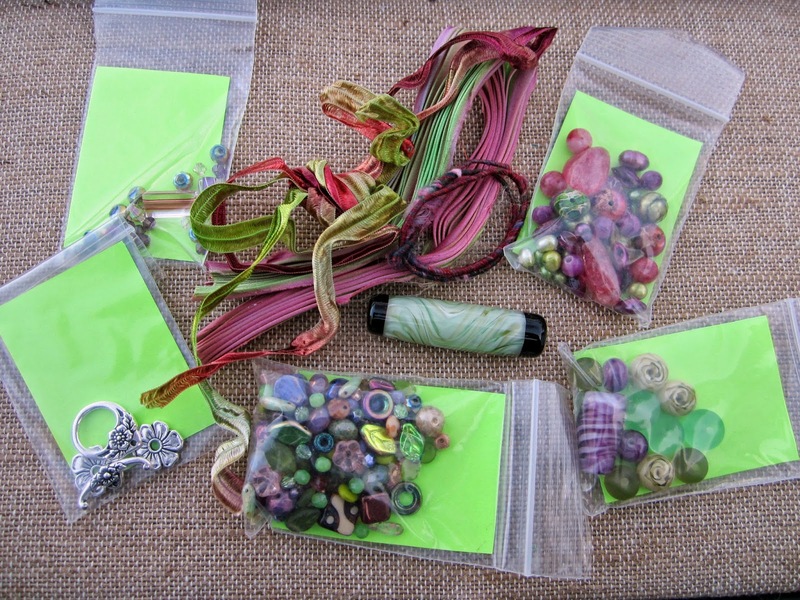 Stephanie sent me a pretty mix pink / purples and greens, to go with the gorgeous focal her husband made. She also sent a pretty silver flower clasp. I had big plans for that focal, and they were not of the pretty purplish variety. I figured I'd make two pieces, one to include the clasp and one for that focal, since I didn't see them really going together in my mind. I like to step outside the box, but also try to keep with my own aesthetic as well. 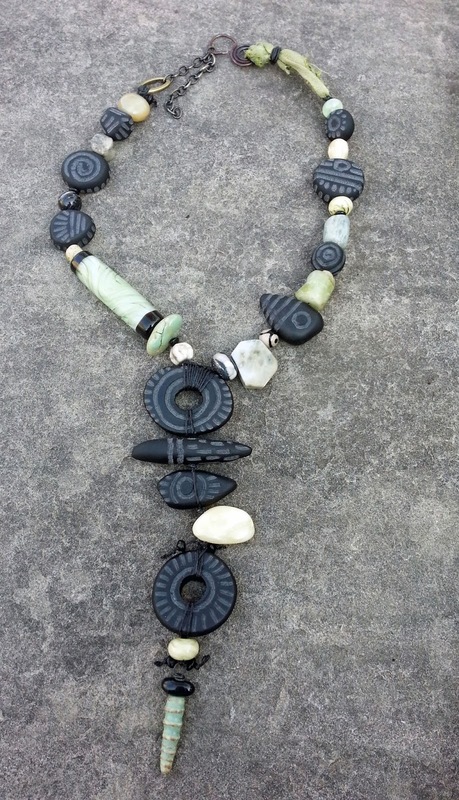 So for the focal, I made this long, knotted piece using waxed linen, my own carved black donut beads, kyanite, green tourmaline nuggets of the gigantic variety, along with other various beads and materials, like sari silk, and a marsha neal head pin at the bottom. I had originally planned for this to be a shorter necklace in a sideways sort of collage like I often do. But it evolved as I worked on it, and this is how it was meant to be. 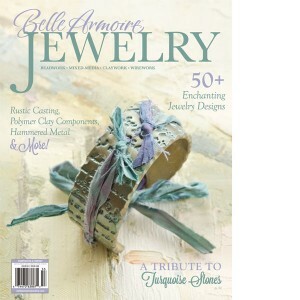 The other piece I made, a garden party style, is reminiscent of my early pieces. 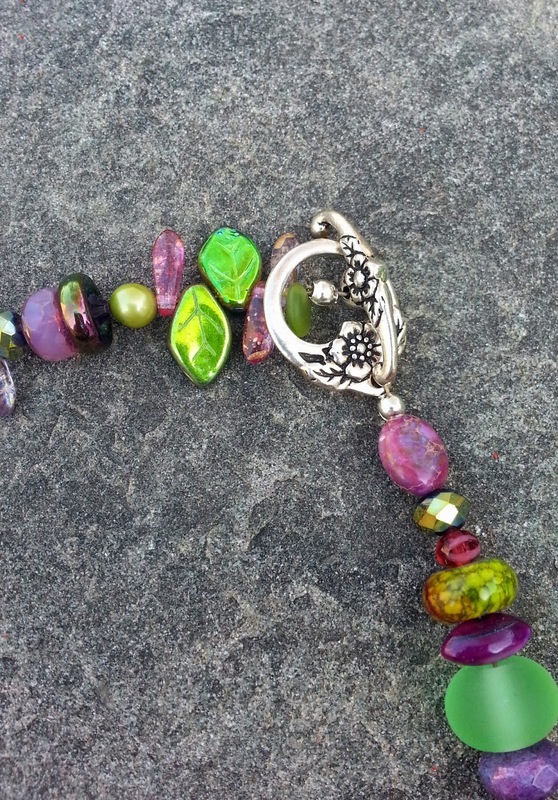 I loved mixing a lot of different stones and beads into one piece, with none of it being counted out or symmetrical. So I revisited that for the clasp, using most all of the beads Stephanie sent. 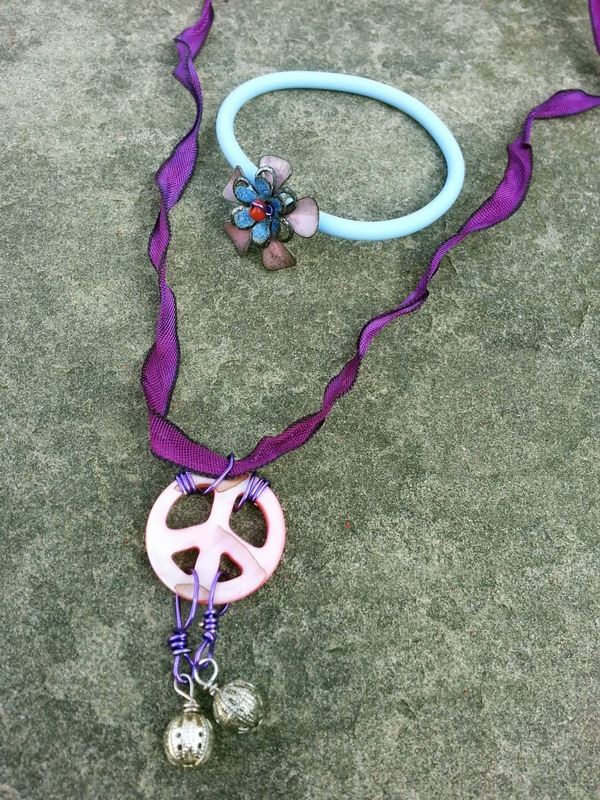 And made these pieces....a lovely necklace using the peace sign focal and a bracelet using the flowers that Sarah had enameled. 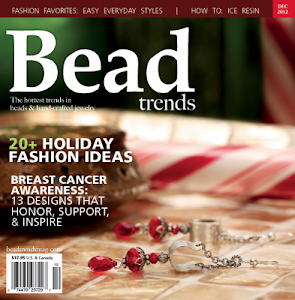 To see what Sarah made with Julia's beads, check it out here. To see what my partner, Stephanie made using the stash I sent her, click here. To hop along with the entire blog hop, here is the list below! I've admired your style for a while, but this piece is a knockout. It so cool that your daughter participated as well. Your first necklace is amazing!! The colours are gorgeous! 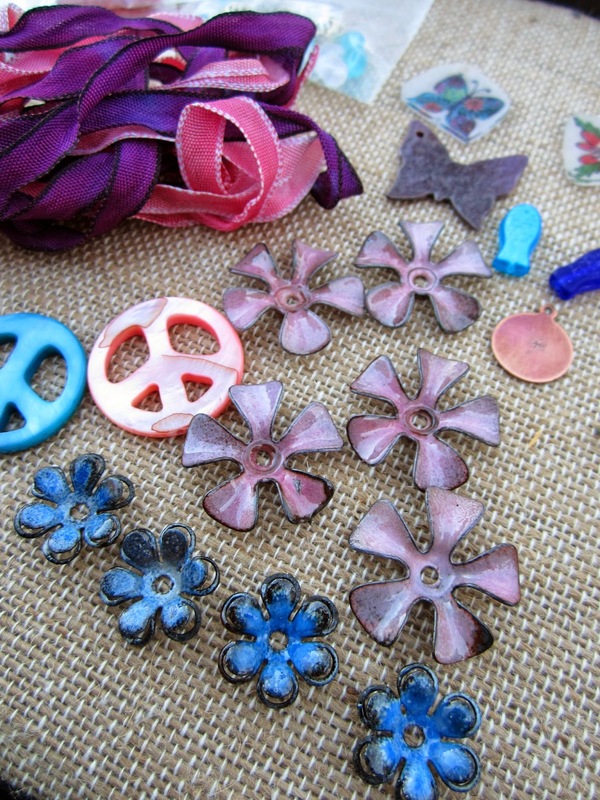 But I love Sarah's enamelled flowers!!!! Every piece is a work of art!! Just gorgeous!!! Very cool. Love the mix of beads. 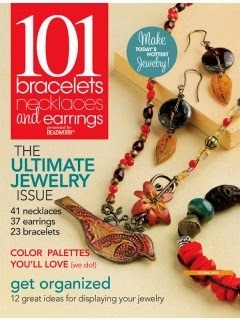 Especially love your daughter's bracelet! Good work! Love Love Love that Green and Black one and it looks great on you to!!!!!! Ditto what Kristin said! That green and black necklace is fabulous! What a sweet idea for the girls to do their own swap. 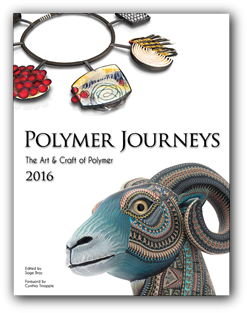 How nice to see the pretty things they've made as well as your stunners. Love both your pieces. That green and black together is spec-tac-ular!! Julia's pieces are also great. What a great flower bracelet! I guess talent runs in the family. You wear that green and black number well. It's a great piece. Your designs are gorgeous! The first necklace is one that just screams 'StaciLouise' to me. And I just love the bracelet that your daughter made. Very talented. That first necklace is a stunner Staci and suits you to a T. Great to see the burgeoning of a a junior bead soup brigade too...Julia obviously inherited her mum's talent. So love that first necklace you made and it looks great on you too. How fun to get your daughter involved too. She did an awesome job too. 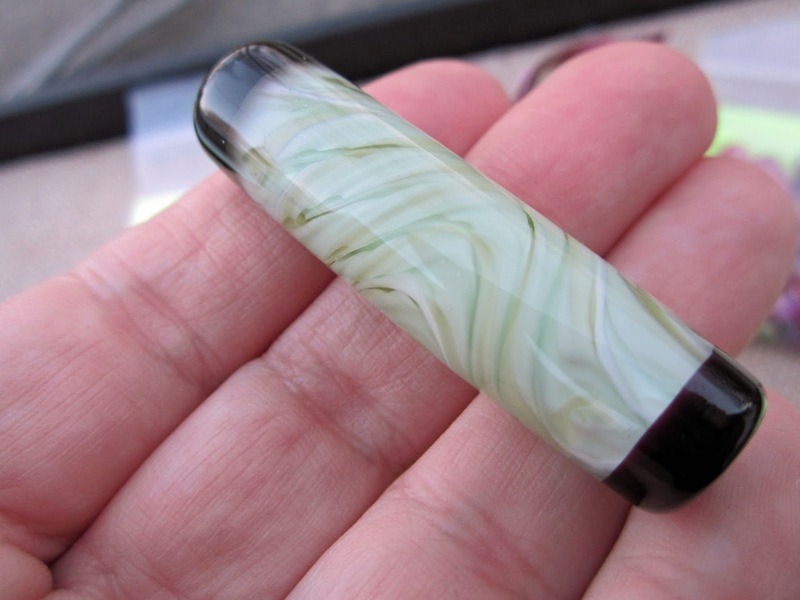 Love the way you took that gorgeous lampwork and made it your own. I would have know that first necklace was yours anywhere. The second piece not so much. It is beautiful and I love it asymmetry, but I wouldn't have recognized it as yours. Your design aesthetic has really evolved. Great job! What a contrast between the two, but both lovely in their own right. It's so charming with the timing of Mother's day weekend that daughters are included here. love it! 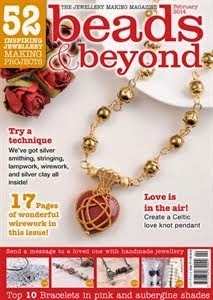 Love your work and love that you used the focal as part of the necklace! What an awesome soup! And such a contrast between the two pieces you made, you clearly have a great talent. 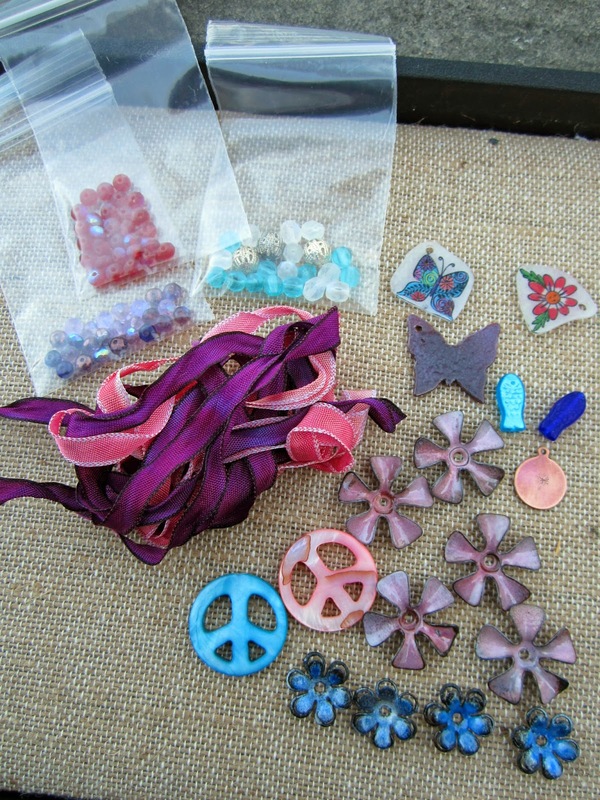 I think it's fantastic that you're daughter was involved too, you're inspiring the next generation of beaders! You created two totally fabulous designs. Your daughter's work is amazing too. Nicely done, both of you. Black and green...that one turned out so very YOU. And your daughter obviously inherited the jewelry talent gene. That was very bold of her to put herself out there like that. She did beautifully! LOVE that black and green necklace! So happy you included a shot of it being worn, so we could see how gorgeously it hangs! OMG love it all !! the organic style is really wonderful and I have to say that I love the pictures on the top of the blog too :) What a great idea to get the kiddo's involved too! 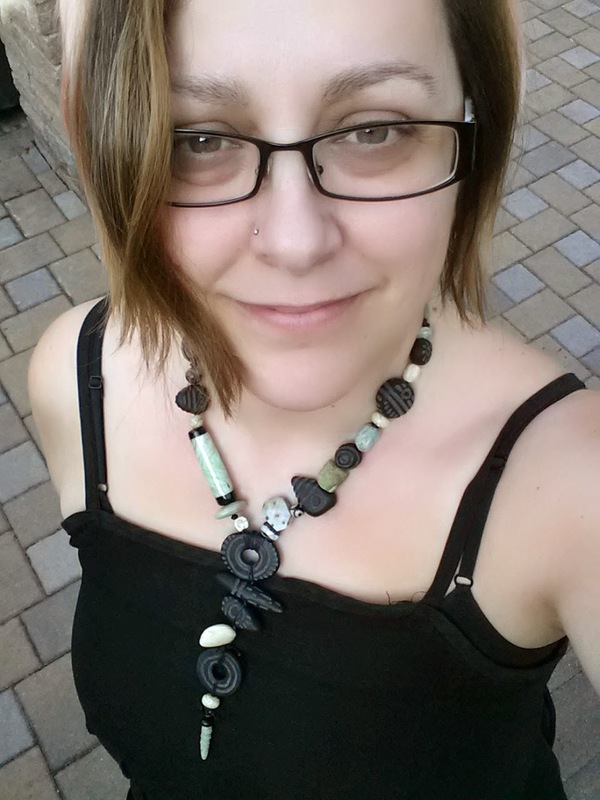 You managed to incorporate the glass bead in your style perfectly, love that necklace! And I also love the colorful one, it's so happy and cheerful!! Wonderful use of your soup, Staci! Congratulations to your little one, too! That Black necklace is really stunning and it looks great on you!! Love it !! Your carved black beads are amazing!! I think it is terrific that you involved the young ladies in their own swap !! What fun for them !! I really really love your first necklace... so awesome! The second one is lovely too! 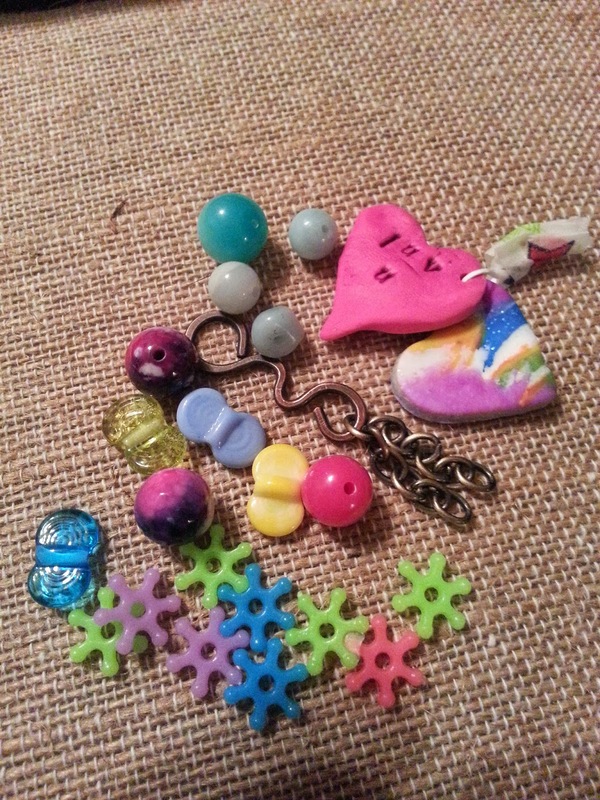 And your daughter's pieces are so sweet, especially love her bracelet! What a great idea to have the younger ones join in the fun! Totally love the drama of the black components with the bright glass, Staci. And that sweet garden of flowers... beautiful! 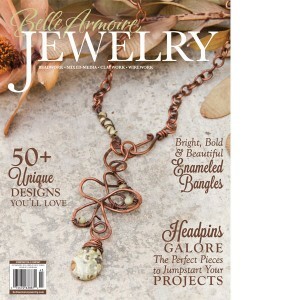 Thanks for including Julia's wonderful designs :) She is keeping the creativity circle expanding! Your designs always surprise and inspire me and this reveal was no exception. 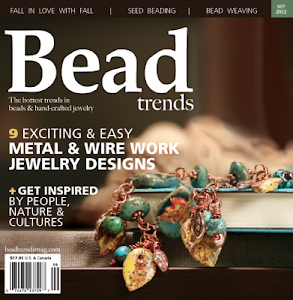 I totally expected to see that focal bead dangling down with some of your handmade elements, but you put it up on the side of the necklace. What a neat idea! I also like that you went really long with the 'focal' of the necklace as well. It's just great. And, your other necklace absolutely looks like a garden party; so bright and fresh! 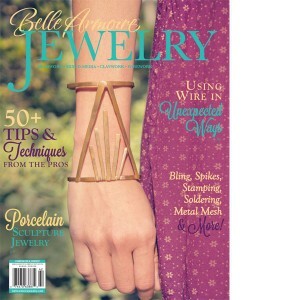 As for Julia's piece. . .that bracelet is too, too cute. So professional! 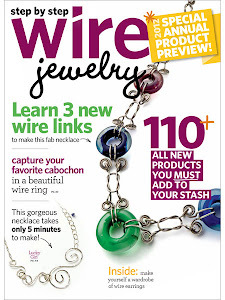 Did she do the wire wrapping for the dangles on the peace sign? She is totally rocking the jewelry skills!! You're definitely going to have some competition in the house before long. Love both your pieces and your daughter's. You're both very creative and your designs are fresh and unique. 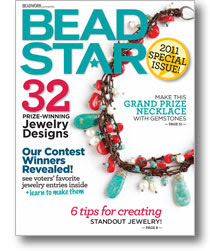 Staci, as a bead maker myself I am always so inspired by your work. I love how the first necklace came out with the mixture of light green and black. I also think Julia is lucky to have you for a mom. She has certainly inherited your eye for design! Staci! I love what you designed with your ingredients! 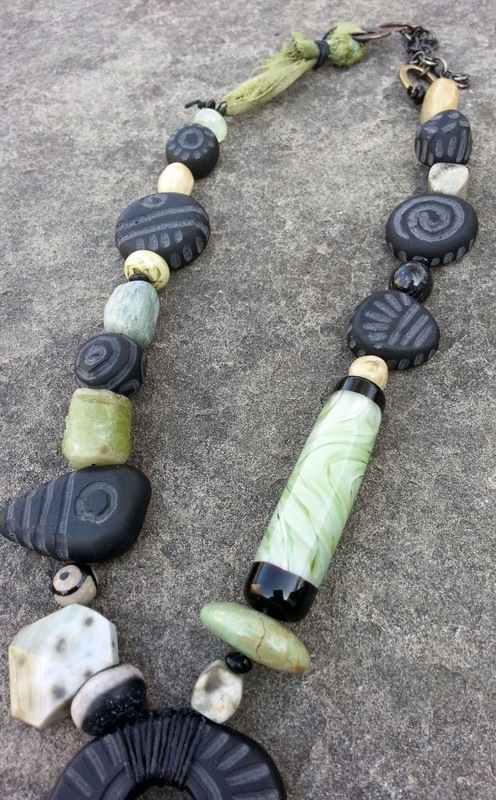 The necklace you produced with the green and black bead is wonderful! I would never have thought to put it in the design that way! The garden piece is also very pretty (far more like my designs) and I am so glad you enjoyed the ingredients we sent. 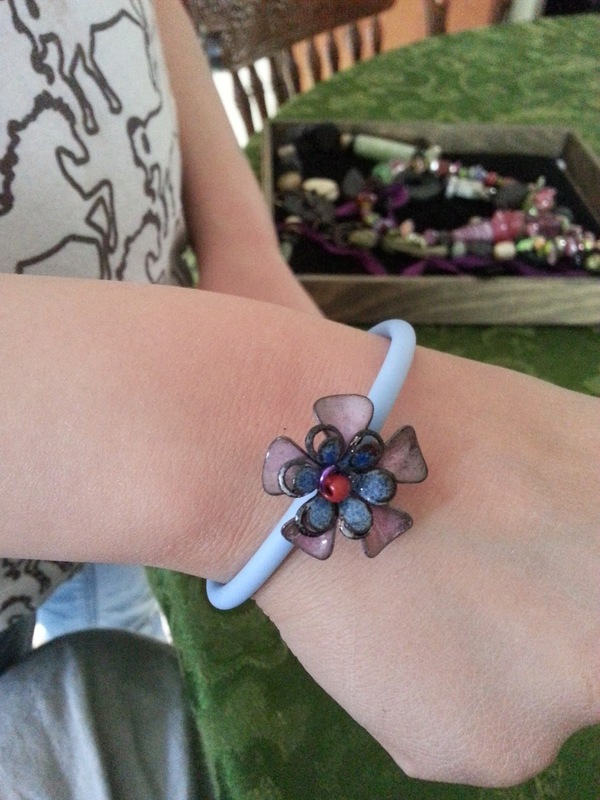 I love that the girls also participated, really like the enameled bracelet your daughter made! I really LOVE the first one. So creative! That black and pale green combo is really effective! I like it a lot! I love both necklaces - both very different in colors and styles, but love them both! That first necklace is so cool, and so you. Looks perfect on you. 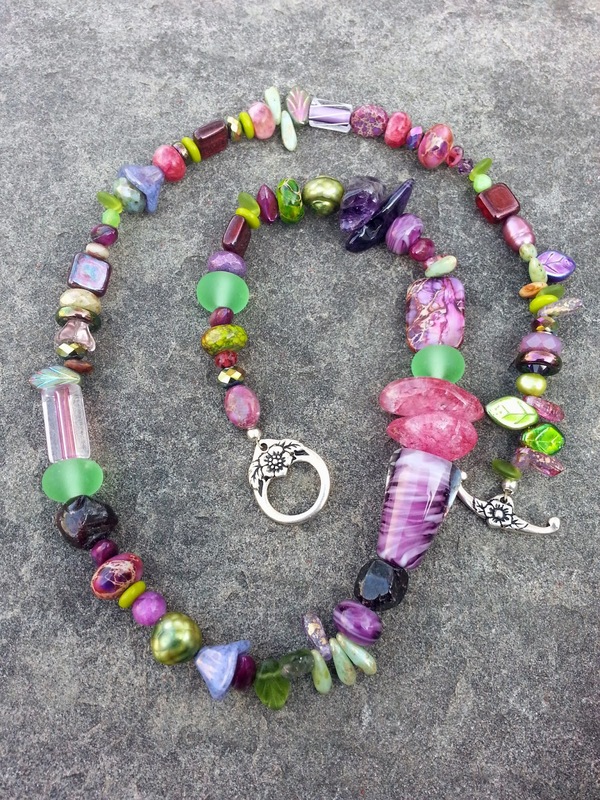 The pink/purple/green gemstone mix in the second necklace is gorgeous. And Julia, I love your bangle. Very cute. I see that you have definitely inherited your mom's talent. Can't wait to see what other wonderful things you do in the future. You have so original style! All creations are perfect! Wow, i can't beleive what you did with that first necklace, seeing that pendant I could never have predicted the finished necklace. Its so beautiful. Your daughter is following right in your footsteps. She made a sweet little bracelet too. 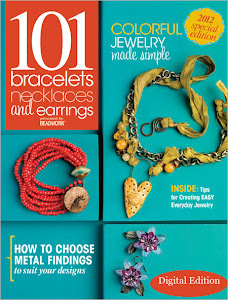 The first necklace is so inspiring! I love the collage mix and the way it hangs. 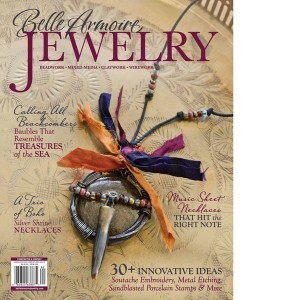 So wonderful - and wearable! Hi Staci, I like the green with the flat black. You chose your colors very well. The garden party necklace is my favorite. Great job using your soup. It is easy to see that Julia gets her talent from her Mom. I really like her bracelet. Thanx for including her in this post. Wow, the pieces you made are fabulous. I take a minute to think what I'd do with the beads before I look to see what was done with them and I never even get close to what the artist does! 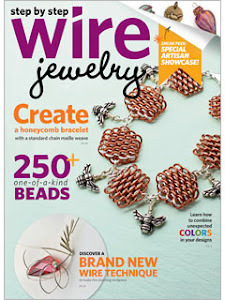 You did a great job with these beautiful beads! that garden piece is freaking amazing! so full of life and color! i also liked the first piece and how you listened to the piece to hear it saying to be longer. i really like the assym of your pieces. and your daughter....how wonderful! =) great job! I love the first necklace. The combination of pale green and black is just as beautiful than the great combination of different shapes. Normally I don't like much multicolored pieces but your garden party is really fun. :-) Your daughter did a very geat job, I really like both pieces. 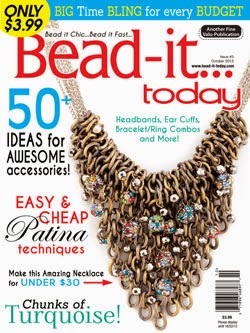 Staci, that first necklace is so you! I love it! The second one is quite a departure from what I recognize as your style but so pretty and colorful. Julia's bracelet and necklace are great. 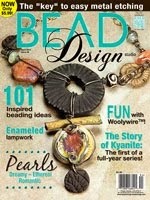 It's wonderful that she's carrying on the Bead soup tradition. Love that first necklace! The style, the big ole pieces, the focal right in the best spot in the house! shows it off perfectly. Your garden party piece is a lot of fun, splashes of color and totally not organized. Perfect summer bash! Your daughter did such a good job. I think it is so fun that she joined you. What a great experience for both of you. What a fortunate coincidence, I'm late with coming here to your blog ;0) So I was able to find your recent blog posts too! You're a stunning artist, Stacy! Your work is incredible, I've to add you on my bloglist. 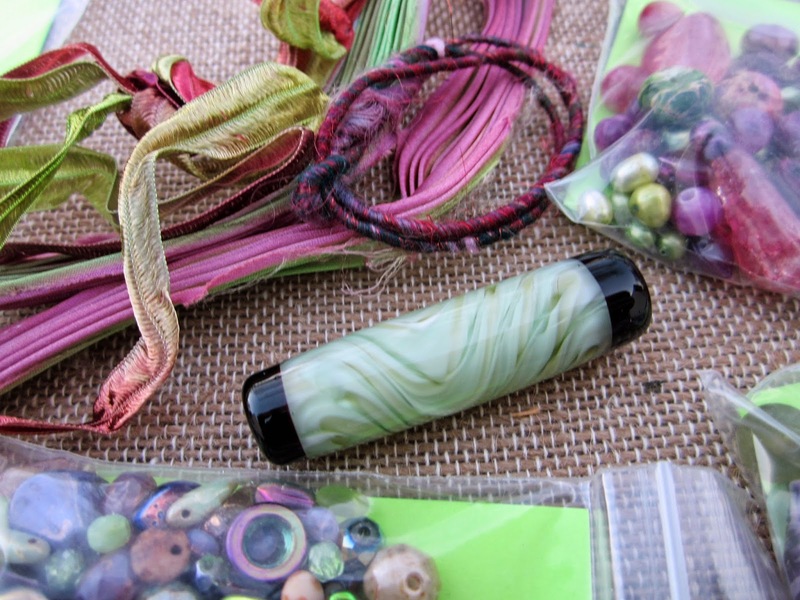 So, back to the soup party - the green necklace is a beauty, the light green lampworkbead and your black clay pieces are so harmonious! I like the way you're mounting several beads for a long collage, it's an eyecatch! Pls., pls. forgive me Staci ..... for the "y" in my last post ...... I was to fast! Wow incredible artistic designs. 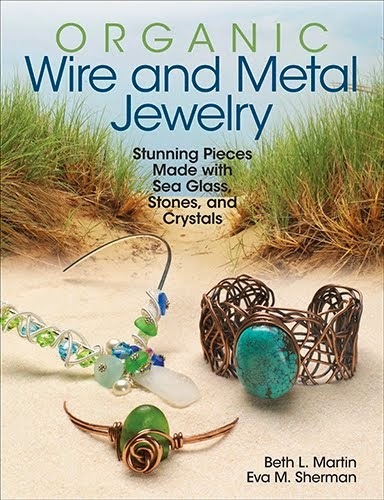 love all your pieces so beautiful! Your necklace is so cute on! Wonderfully done......and the little Miss did an awesome job too! Love love love Julia's bracelet! "What we have done is use iBeacons for a little gamification of a luxury experience," says Joel Martinez, chief technology officer at Candylabs, goedkope timberlands schoenen the internet marketing company that designed the app. All the data about visits is only stored on the customer's phone, he adds. That means customers won't be recognised automatically when they enter the restaurant. If they want to receive the perks that their Mook status entitles them to then they have to "self report" Timberland outlet nederland by showing staff their status in the Mook app. "Privacy is very important," Mr Martinez concludes.